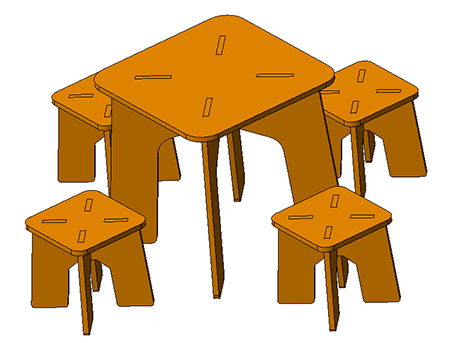 In our woodworking project, we prepared a portable stool and desk design. In order to cut those templates, you will need a CNC router which is 60cm and bigger than it. You can use various wooden tools which are 18mm. Values of joint radius are not entered in the project. According to the material, CNC machinist will prefer a router cut bit. According to End Mill Bit’s radius you will use, you can enter radius value and then, you can create a g code by spindle and servo engine’s capacity. The main goal of our project is to inspire people that will do similar projects. In the project of us, we design a portable stool and desk. Sizes of houses in the city can be little and people are in need of portable house things. Because of this need, you started to draw. If you are in need of a chair or desk, you can integrate all parts to each other and get a chair or desk. When your need is met, you can put it somewhere else by separating its parts. In this way, it won’t get lots of space in your house and you can also design aesthetic products by getting inspiration from it. For your personal uses, you can download cutting files on our website free and you can make changes in the files by using different CAD/CAM software. 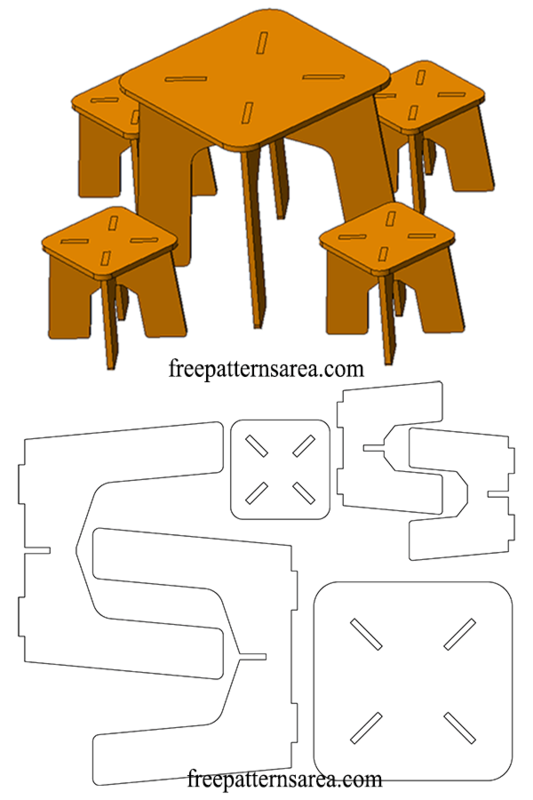 Download free Portable Stool and Desk project for CNC router. Right click and save to free download • eps, • dxf, • svg, • pdf, • png, • dwg, • cdr • stl files.